Our speech therapists specialize in treating disorders that affect the voice, hearing, and speech. It is our goal to improve the communication skills of every patient we encounter. Since individuals have different learning curves, we always devise treatment plans addressing the specific needs of the patients. Speech Therapists have a goal to help clients improve communication skills. There are several levels of therapy available and your treatment plan will be devised to address your needs. Speech Therapy can be provided to children, adults, and even seniors who have speech impediments. 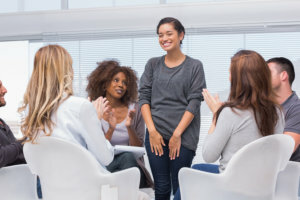 The speech therapists from Amazing Love Healthcare Services are all up to date with the latest methods and techniques in the industry and apply them accordingly. Call us at 763-561-3434 for inquiries on our speech therapy services.